Getting the design right is essential for you to achieve the best patio, paths or terraces for your front and rear garden. At PaveCraft Ltd it is all in the preparation, understanding what and how you want to use the space. We bring ideas of previous successful paving services jobs from elsewhere around St Albans to show you how to get the finished patio you want. Pavecraft have 40 years' experience in building everything from small city gardens to larger suburban areas. Our Paving Company in St Albans enjoys working with complex split levels, multi materials and difficult access areas as well as level traditional St Albans gardens. 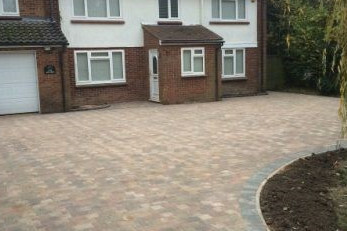 As a local St Albans paving contractor we offer a large variety of services from design and build, hard landscaping, drainage & irrigation systems through to garden and driveway lighting. 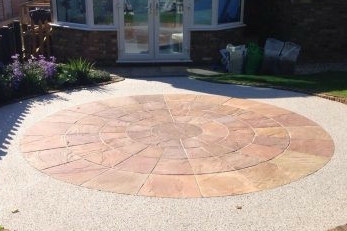 Our experienced specialist will provide Paving ideas for your outside space, using the latest techniques and materials. The result will give you a fantastic space to relax, entertain in and enjoy. 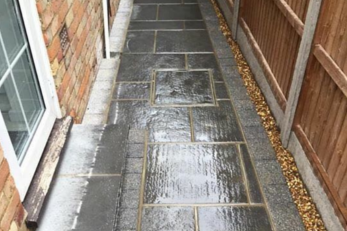 We at Pavecraft ltd are vigorously checked as a business and all our work also go through strict quality checks to ensure we meet only the highest standards to paving expertise. Ask our experts for more information by calling Abbots Langley 01923 883684 for a free no obligation landscape quote. Pavecraft is rated 4.86 out of 5. Based on 143 Trustatrader Reviews. © 2017 PaveCraft Ltd | All rights reserved.